The Victorian Planning Authority today released the Precinct Structure Plans (PSPs) for two new Melbourne suburbs that will collectively house more residents than all of Brunswick. The suburbs will be located between Caroline Springs and the emerging suburb of Rockbank North and will be home to more than 55,000 residents. They will be a legacy for the state, playing an important role in accommodating Victoria’s growing population and providing affordable housing in Melbourne’s thriving west. They will be characterised by large open spaces, the beautiful Kororoit Creek and well-designed bicycle networks. Every effort has been made to weave in the natural features of the landscape into the development plans, ensuring native grasslands are protected and indigenous plants will flourish throughout. Future residents will have unprecedented access to conservation areas and parks, including a proposed Kororoit regional park. The suburbs are expected to accommodate almost 20,000 dwellings and 14,000 jobs, with a total of 10 schools to be built within them. 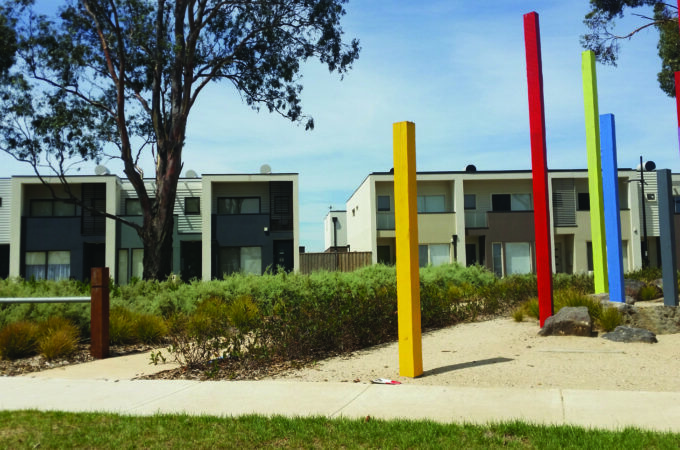 Development is expected to deliver over $180m of developer infrastructure contributions to the State Government, as well as $385 million to the City of Melton. This significant revenue will help fund vital infrastructure for the future community. At 30km from the CBD, the new suburbs will be closer to central Melbourne than many established areas and linked to the CBD via Caroline Springs Station – due to open in 2017. The topography of the suburbs include undulating rocky land, waterholes, ponds and rocky outcrops near the Kororoit Creek, which is home to animals such as the Growling Grass Frog. Residents will also be serviced by a large town centre, which will be largely accessible on foot and bicycle along the former Beattys Road goldfields route, as well as by car and future bus transport along a new street network. Furthermore, a logical extension of Hume Drive and upgrade to Taylors Road will connect the new suburbs to Taylors Hill West and Caroline Springs respectively. To find out more about Plumpton, click here. To view the PSP for Kororoit, click here.